Home / Back To School Deals / Staples Back to School Deals – Spend $50 Save $10 Coupon! The Best Staples Back to School Deals for 2018 – Featuring the best sales on Laptops, School Supplies, Printers, Computers, Calculators, Backpacks and more! The Staples Back to School Deals 2018 are a great way to save on School Supplies. Check back each week for new deals and sales on school supplies! Here are just a few of my favorite School Supply Deals going on this week + I have a full list of all my favorites for you at the bottom of this post! 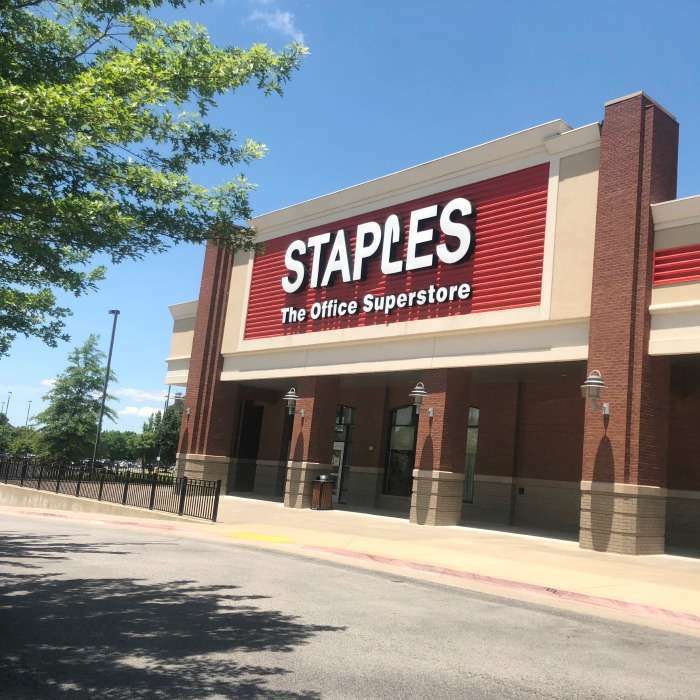 There are some great 50¢ Deals at Staples This Week including the Staples Wood Pencils, School Glue and Pink Cap Erasers. You can also grab Crayola Colored Pencils for only $0.97! 1 Subject Notebooks are also on sale for just $0.25 each! There is a limit of 20 per person but this is a great price and a good time to stock up! This week at Staples you can get a $10 Coupon for School Supplies, you can save $10 off any $50 or more School Supply Purchase! You can print the coupon online if you don’t have the ad from your newspaper. Click Here to Print the Coupon! There are some great deals this week like the 50¢ Staples Pencil Boxes, that’s about half the price they are everywhere else. Also the Bic Soft Feel Ballpoint Pens are just $0.75 and after the $1.00/2 BIC Stationery Product from the 8-5-18 SS insert you will pay only 25¢ each! Right now we don't have any awesome deals to share for Staples 72718, but as soon as we do we'll let you know! Staples is offering Online Ordering for School Supplies this year! You can Shop these School Supplies Online, Place Your Order and then pick up in an hour! I do want to mention that right now the prices online look higher than what I saw in my stores so I would make sure that you Download the School Supply Price List Here and compare prices before you order online! You can shop online where the Staples Back to School Deals are in Full Swing on their website right now. Staples.com has some Awesome Prices on Cheap School Supplies for back to school! You can grab all of these items in stores or online! Old Navy Girl’s Jelly Sandals as low as $4.50! Coleman Deals! Beach Chair only $26.99!